With colorful patterns and messages ranging from humorous to political, FOKOHAELA’s daringly unique kits are a product of head designer Jason Lee’s unbridled creativity. We spoke to Lee, the only person behind the brand, about his career in design, how he comes up with his ideas, and the freedom that comes with running your own label. Though the name FOKOHAELA sounds like it could have tropical roots, its origins lie in Germany. An amalgamation of the phrase “Vorne kurts, hinten lang,” meaning front short, back long, FOKOHAELA’s namesake is the mullet — business up front, party in the back. 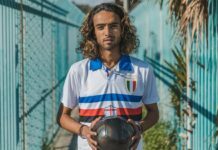 “The mullet represents sport, fashion, and irony, and I like to trickle all three of those into the products,” FOKOHAELA head designer Jason Lee said. Lee is the one-man-show behind the brand, handling everything including its design, photography, website, and social media. 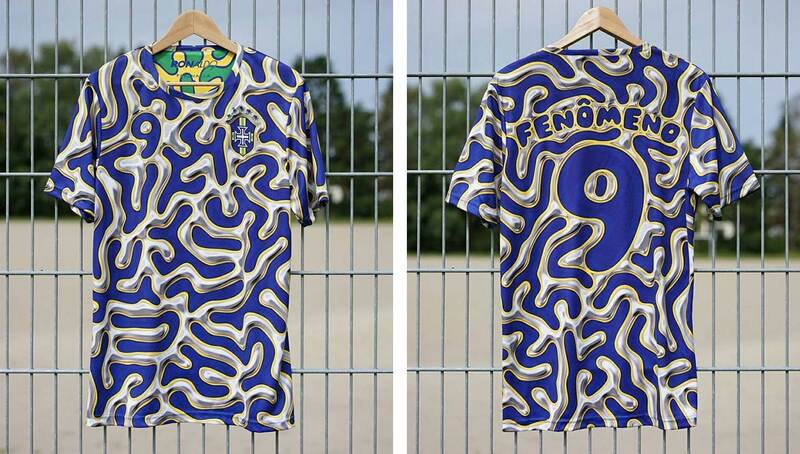 While he certainly has a lot on his plate, running FOKOHAELA by himself gives him the freedom to do and create what he wants, a carte blanche that has resulted in some of the wildest and boldest kits we’ve seen to date. Lee’s introduction to design stems from his childhood. His father was an architect heavily influenced by the German Bauhaus movement, which sought to maximize form and function — combining high quality craftsmanship with beautiful artistic design. His mother served in the United States Air Force, which in turn surrounded him with the technical performance and camouflage patterns of military uniforms. Lee’s desire to work and learn on his own terms was evident in his childhood as well. He was nearly expelled from his high school for skipping class, but it wasn’t to go to the beach or arcade or whatever cliche locale your typical high school movie would suggest. Ferris Bueller would be disappointed to see that Lee would play hooky to visit the art department at the nearby Penn State University library. After struggling to figure out which path to carve out for himself following high school, Lee eventually combined his interests in the arts, his father’s form-following-function mentality, and his mother’s uniform-clad peers to begin a career in designing clothes. Lee dropped out of business school and later architecture school, deciding to instead learn on the fly. His mom gifted him a Mac computer, he picked up Adobe Illustrator in two weeks, and he created a portfolio that landed him his first design job creating mass-market clothing for department stores. What followed next was a steady rise that included stops at brands like Abercrombie and Fitch and The North Face. While at The North Face, Lee thought he found his niche. He was designing outerwear, a perfect match for his affinity of technical yet aesthetically pleasing design. But one day, a new employee coming from adidas‘ U.S. headquarters in Portland joined the team and changed Lee’s career path for good. 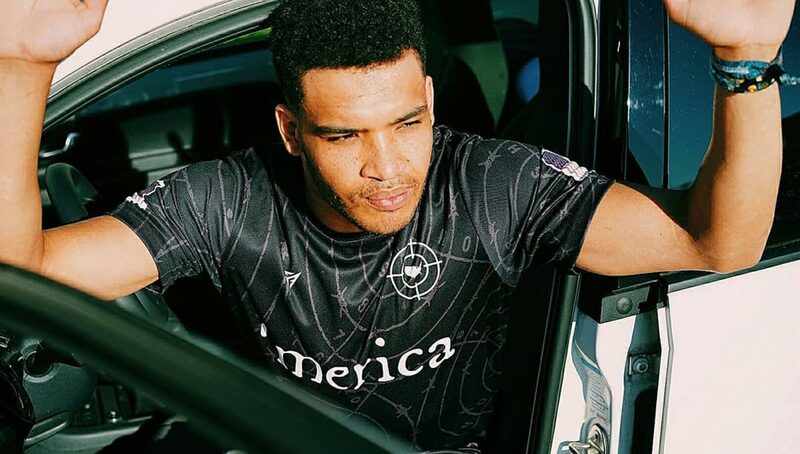 A lifelong football fan and player, Lee never thought of working within the game, and after realizing that he could work for adidas — quite possibly the world’s premier football brand — he was sold. 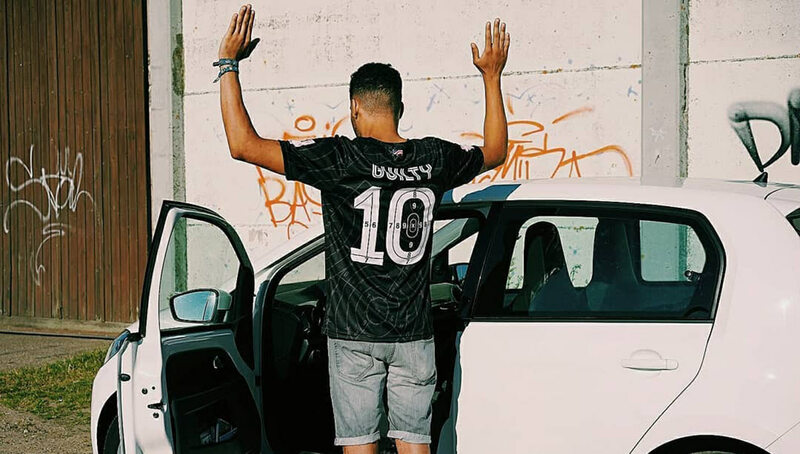 He found a job opening at adidas’ world headquarters in Germany, and took it. 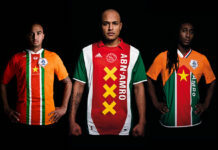 After five years designing jerseys and apparel for different pro clubs and countries for the Three Stripes, he landed a job at Danish label Hummel, where a new career path dawned on him, once again courtesy of a co-worker. 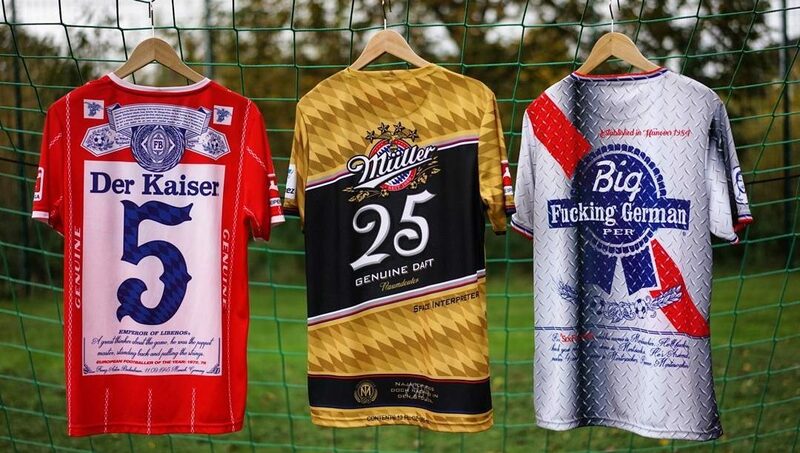 Lee designed a kit as a going away present for one of his colleagues, and soon after designed a few more shirts for Le Ballon’s pop-up shop in France, which made him realize he could create his own label. 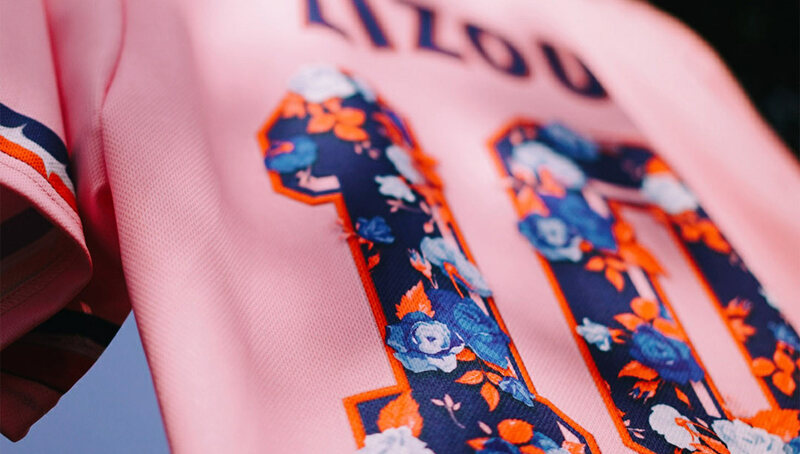 Utilizing bold patterns and eye-popping colors, Lee has made FOKOHAELA quickly become a leader in the growing football-inspired fashion landscape. 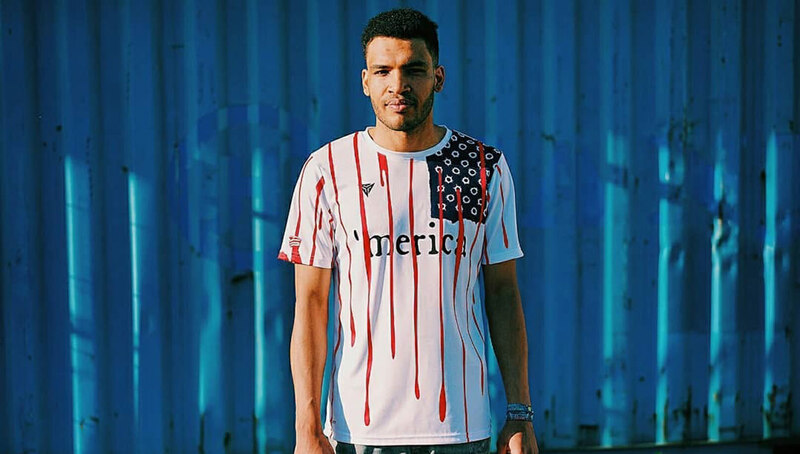 In addition to wild ’90s kits which are equally beautiful as they are nostalgic, Lee pulls from his own personal ideals when creating each jersey, and is not afraid to address polarizing topics such as gun control or the Black Lives Matter movement. Inspired by Malcolm Gladwell, Lee looks to weld together separate ideas that are completely different on their own into each kit. 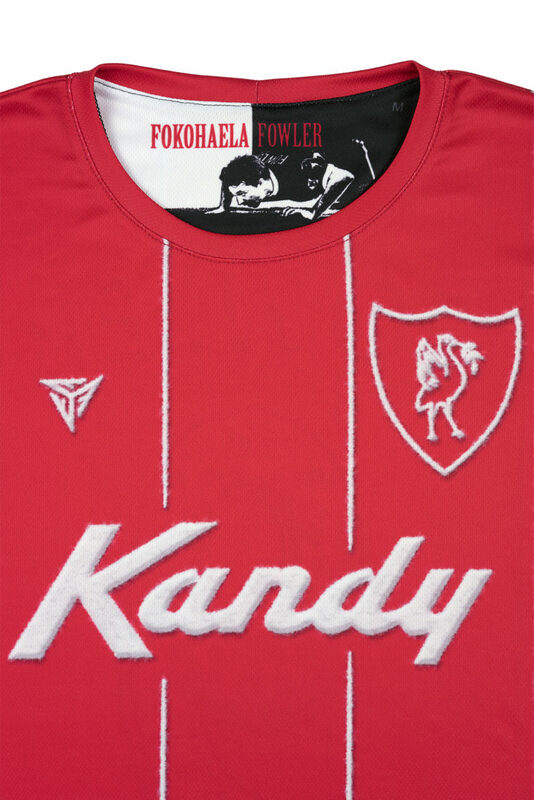 However, not all of FOKOHAELA’s jerseys address serious matters, including the “White Lines” jersey, which is a cheeky nod toward Robbie Fowler’s iconic cocaine-sniffing goal celebration against Everton in 1999. 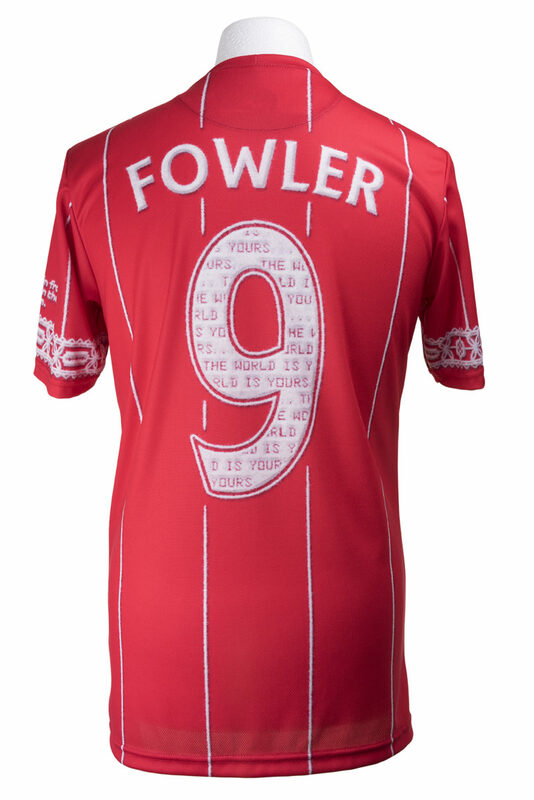 Much like artists with their paintings, Lee puts himself into every FOKOHAELA jersey design. He gets ideas by listening to podcasts and staying up to date with current events. 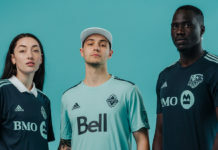 He’ll also include elements from pop culture, from the Scarface-referencing “The World is Yours” script on the “White Lines” jersey to designs influenced by ’90s rap groups A Tribe Called Quest and De la Soul. 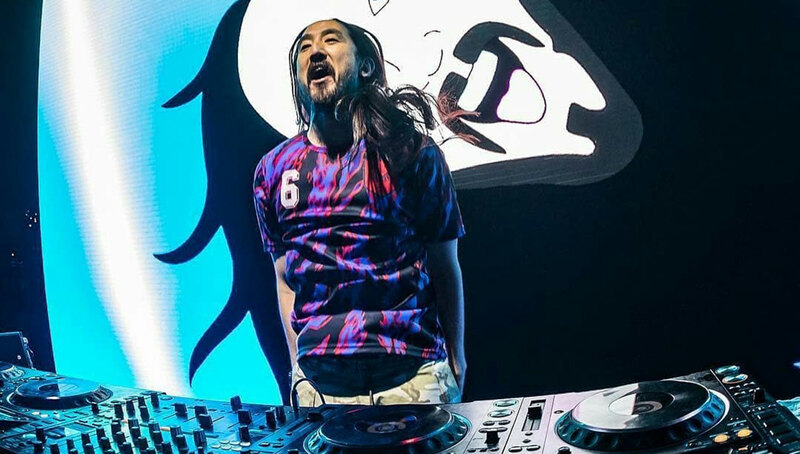 FOKOHAELA has other musical connections as well, with Lee creating a series of custom jerseys for Steve Aoki, three of which the prolific DJ has yet to unveil. 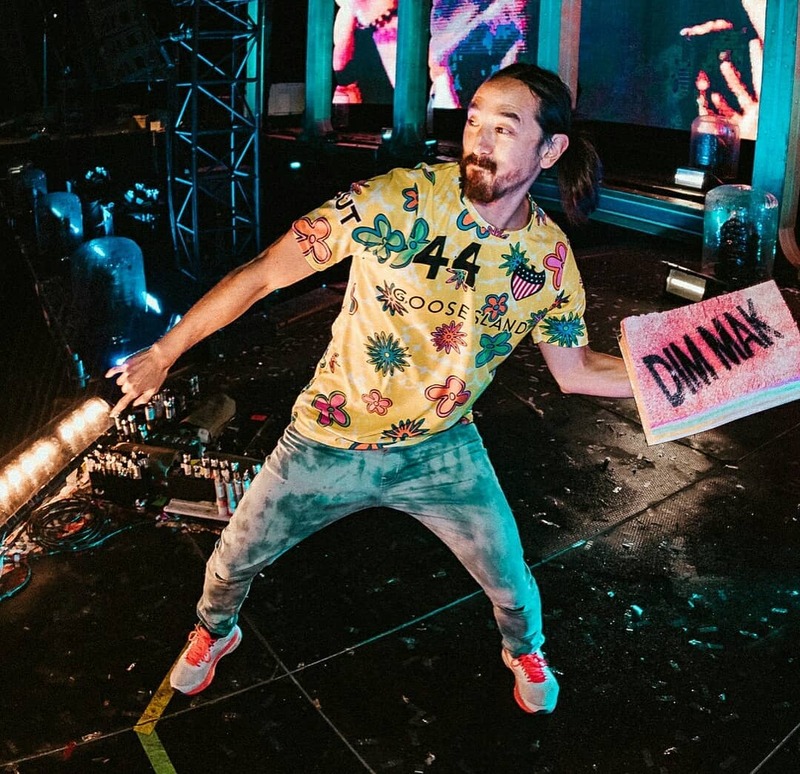 While at a surface level the connection between the two entities seems random, Aoki’s eccentric style and upbeat music serve as a perfect companion to the unique and colorful FOKOHAELA kits. 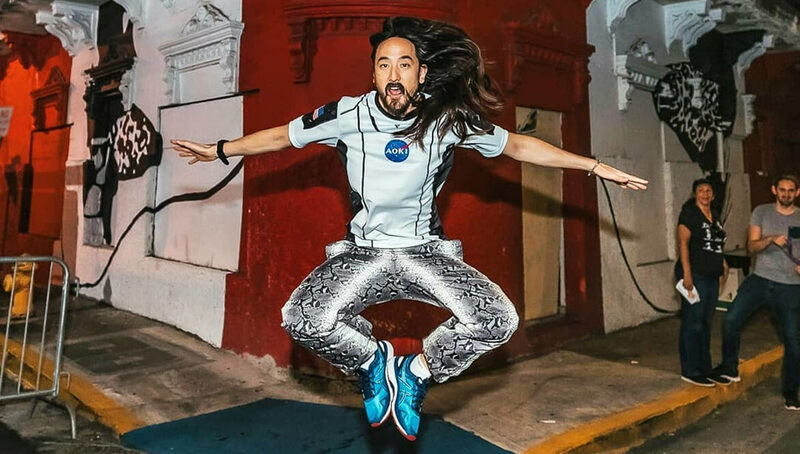 Lee plans to continue designing more shirts specifically for Aoki, but in terms of other releases, he doesn’t have a strict calendar like other labels would. There are no fall/winter or spring/summer lines — he releases what he wants, when he wants. 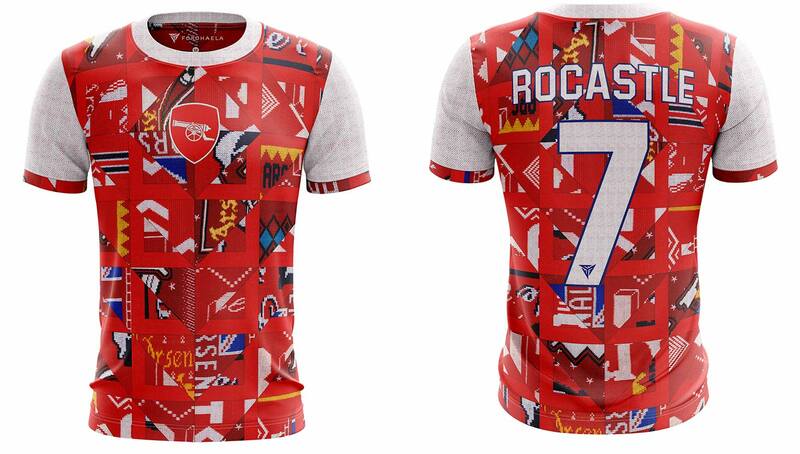 With that said, Lee, a Gunner to his core, has just dropped a set of Arsenal shirts that have been in the works for some time. 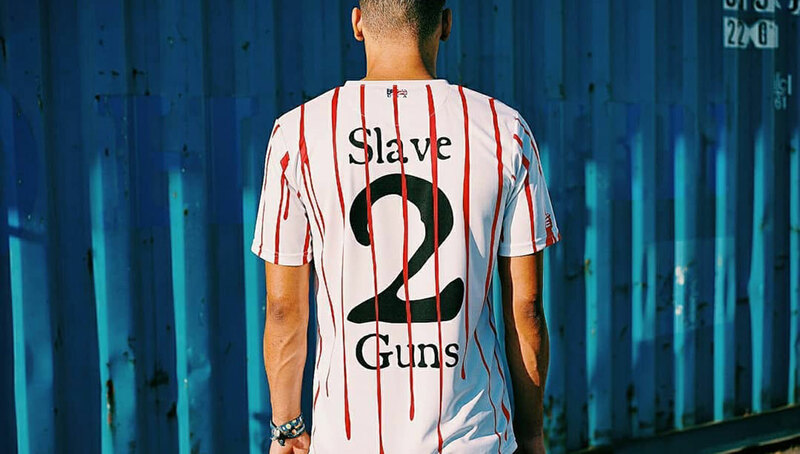 This represents the second Arsenal-inspired collection from FOKOHAELA, but the London-based club’s influence on the brand doesn’t stop there. FOKOHAELA’s slogan, “The cultured right foot of Dennis Bergkamp meets Willy Wonka,” shouts out the Non-Flying Dutchman that manned the Arsenal attacking front for 11 years. In a way, it comes full circle. You could say that Bergkamp’s supreme technical ability is the business up front, while the whimsical style of Willy Wonka hosts the party in the back. 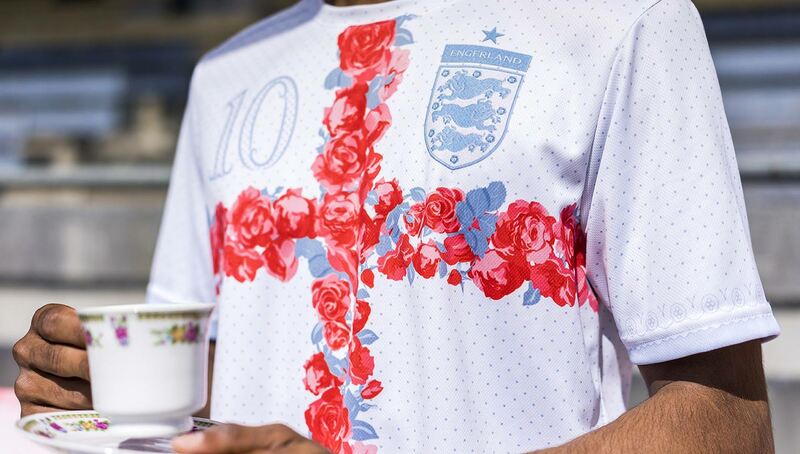 You can shop the entire FOKOHAELA jersey collection via its online shop. Be sure to follow FOKOHAELA on Instagram to stay up to date with its latest releases.